SANTIAGO, Chile - Police in Chile are investigating what appears to be the slaying of a U.S. citizen in the South American country. 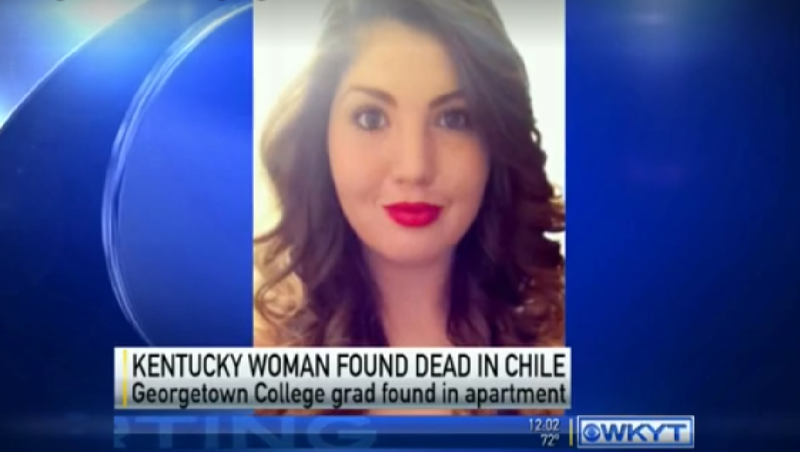 Twenty-two-year-old Erica Faith Hagan was found in the bathroom of her apartment in the southern city of Temuco Saturday morning. A local prosecutor says she suffered at least three injuries to her head with a sharp object and police are investigating. Hagan was a recent graduate of Georgetown College in Kentucky. Chilean police said in a statement Monday that she had been in Temuco since July 28 working as a teaching assistant at a local school. "She was one of the most loving, caring individuals that I knew. There's not one person that I could say I know that would have anything negative to say about her. She loved helping others. She loved Chile. She visited once and when she came back, she always talked about going back," Brenda Patel, Hagan's former roommate, told CBS affiliate WKYT. The Georgetown College site says Hagan was from Murray, Ky., and was scheduled to return home in December.